Laurie Huston from News the Heart is talking with Author, Maureen St Germain on her newest book: Waking Up in 5D: A Practical Guide to Multidimensional Transformation. We are all transitioning from the narrowly-focused and polarized awareness of the Third Dimension and waking up to the higher vibrations and abilities of the Fifth Dimension. Each of us has already experienced 5D: Think about your most memorable and uplifting experiences of the recent past–where everything went well, interactions were harmonious and loving, and all felt blissful and happy–that’s 5D. For some, the shift is sudden and permanent, but for many of us, the change is gradual, coming in fleeting moments and waves. In this ascension manual, spiritual teacher Maureen J. St. Germain explains how to shift your energetic patterns and choose to permanently anchor yourself in the joy, love, and kindness of 5D. 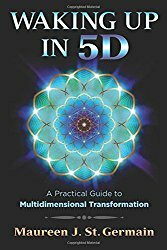 This book will guide you through the rapidly changing environment, and awaken you to the phenomenal opportunities the fifth dimensional energies have to offer. Join us for this fascinating discussion! We’re Getting to the Heart of what Matters! 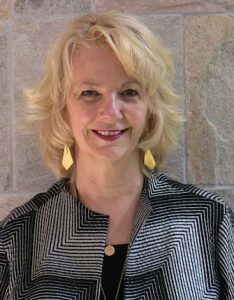 Maureen St. Germain is a facilitator of personal development and spiritual awakening. 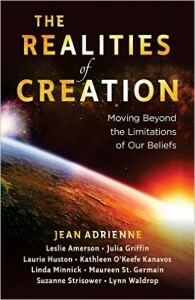 As a seeker she shares the knowledge she has gained from over twenty-five years of study in ancient truths. Maureen leads amazing sacred journeys and is known for her books on ascension, Akashic Records readings, the MerKaBa meditation and the Flower of Life. Maureen is also a master numerologist and spiritual consultant. Transformational Enterprises, Inc. is the business identity of all that Maureen offers. From Workshops and Teleclasses that transform to AroMandalas Essential Oil Blends to publishing books, audio and video for the spiritual community, TEI is also a facilitator of global transformation.